My personal collecting goal is to have the most complete collection of fillers possible. I'm hitting that point where finding the stuff I'm missing is pretty tough. I figured that I'd put out the word that I'm on the hunt just in case anyone here might be able to help. Any leads would be greatly appreciated! I currently own 38 of the 57 fillers listed in the fillers section! Here are images of some the fillers that I'm missing. The starred fillers are ones that I don't really expect to ever own. Discard Foil with Oval Holofoil Stamp Filler Card - I technically own one, but it's only got a partial holostamp. I'm looking for an intact one. Gold Border Filler Card - I might know where both are, but it might be the same one that was sold. I don't expect it to be for sale ever. Mandria di Uri/Black Border Stripes Filler Card - 1 person owns both and I'm trying to convince him he should sell me one. There's 5 fillers that are known to exist on uncut sheets but so far never been found by opening the sealed MTG product they are supposed to come from (or I'm not aware), that's why they are not in the Fillers tab. I will of course add them whenever, they will show up. As far as I'm concerned they don't exist yet. If new fillers are found I'll be more than happy to buy those too. Maybe we'll see a departure from the Discard filler trend that they've been using the last 3-4 years on every product. Same here, and it's not 5 but 7 (as I don't have pics of the sheets, they belong to). I have the Discard filler if you need it. 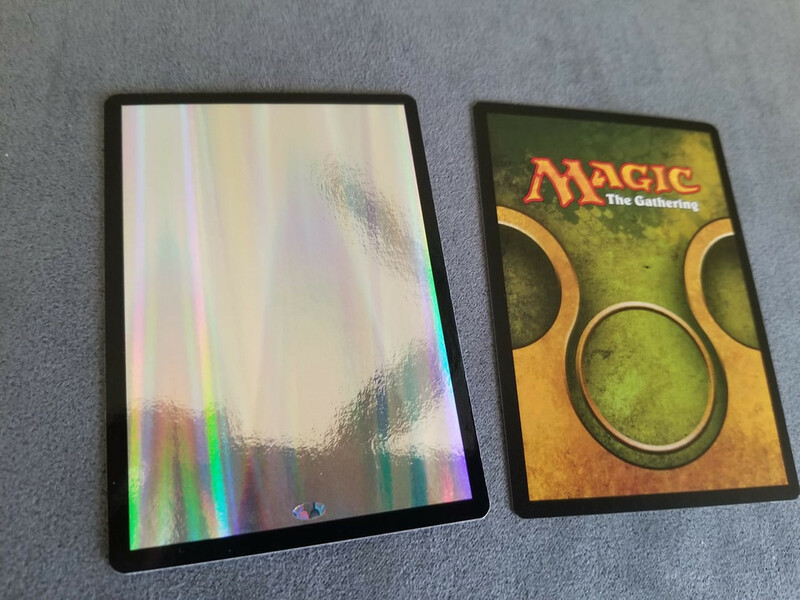 The foil discard with a holostamp or just a normal discard filler? Just a quick update on my progress: I'm no longer looking for Foil Rare Discard w/Holostamp, Gloy Pre-Release, or White Border M Filler v1. It only gets more difficult from here though (Except that stupid foil innistrad filler. No clue why that one's being so difficult ). The hunt continues! Help me track down the rest! I'll pay very well! I'll even offer finders fees if I end up acquiring something new! Update! I finally got the foil Innistrad Filler! From here on out the quest is extremely daunting. Any new acquisitions will be luck & perseverance! Maybe you start opening ‘some’ of your booster packs - just to search for fillers in them.